Homemade gifts are often the best kind, especially when they are made by children. Making gifts takes time and effort rather than money, which makes them even more valuable. 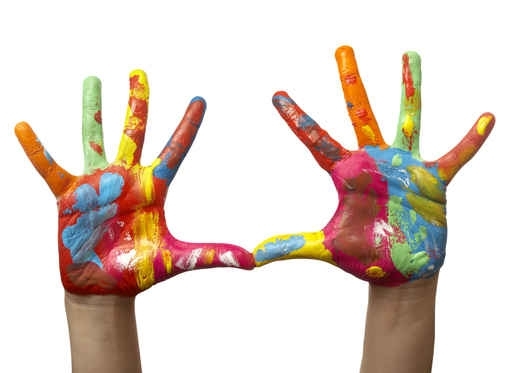 Have your kids try giving one of these easy homemade gifts today, and watch smiles appear. 1. Wind chimes – Almost anything can become a wind chime. 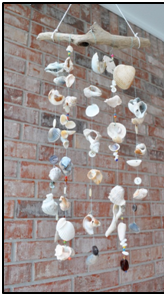 Sea shells, a piece of driftwood, and some fishing line make a beautiful ocean-themed wind chime. Buttons, thread, and a wooden hanger make a cute wind chime for the quilter in the family. Even a mechanic will enjoy a wind chime made of a wrench, washers, and twine. 2. Pen holder/candle holder – Almost any tall, thin container can be made into a pen holder for the office worker’s desk. Just decorate with paint or material and voila! Instant character and panache. An old wine bottle or glass bottle can be decorated in the same way and used as a candle holder. 3. Bird bath/bird feeder – The easiest way to make your own bird feeder or bird bath for a gift is to find a clay pot and saucer. Turn the pot over and place the saucer, bowl up, on top. Then fill with water or bird seed. Super simple, light, and easy to clean, this makes for a great gift. Decorate with waterproof outdoor paint or markers. 4. Paperweight – Start with a rock and go from there. A simple stone can be turned into a beautiful paperweight by the application of latex paint, markers, or material. Little boys love ‘rock monsters’ and adding googly eyes to a green-painted stone make for an interesting conversation piece. Let the kids’ imagination run wild. 5. Soup in a jar – Almost any recipe can be made with just a few ingredients. To make this a fun gift, carefully layer the dry ingredients in a mason jar and accessorize with ribbon. Make sure you include the recipe card so that the recipient knows how to duplicate it later. No matter if it is soup or cookies, they are sure to love this tasty gift. No matter what the children make, the recipient is bound to love it. Have your child create a homemade gift and remember what gift giving is really for- showing your love and appreciation for the recipient. Guest Author Bio: Sara is an active nanny as well as an active freelance writer. She is a frequent contributor of nanny service. Learn more about her here.